Fasteners for punched sheets, pockets for loose sheets--covers it all! Dual use makes it perfect for sales materials. Business card slot for convenient contact information. Cardinal Poly Zippered Binder Pockets store and protect critical documents. These side-loading 3-hole-punched inserts expand 1/2" to hold up to 100 sheets. Colorful slide zippers keep it all contained. Clear poly is non-stick and archival safe for documents and photos. Keeps critical papers from passports to term papers safe from accidents and spills. 5 Pack with zippers in blue, black, red, purple and green for color-coded organization. 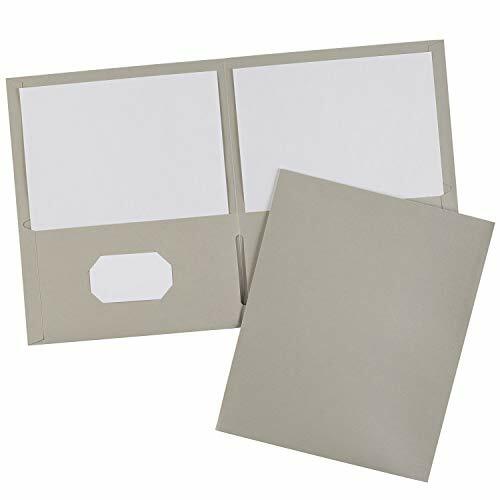 For organization of your loose papers, these two-pocket folders provide a classic, economical solution. Constructed of standard embossed paper, the folders are lightweight and flexible. Two interior pockets provide room for papers, brochures and booklets, and a business card holder lets you personalize the look of the folder. The rich coloring helps you locate them easily and makes for an eye-catching effect when presenting to clients, colleagues and more. Holds up to 20 sheets of paper. Front Cover Color(s): Black; Back Cover Color(s): Black; Sheet Size: 11 x 8 1/2; Capacity (text): 40 Sheets. 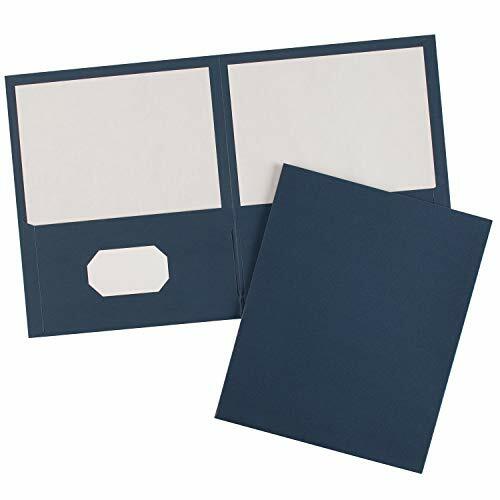 For organization of your loose papers, these two-pocket folders provide a classic, economical solution. Constructed of standard embossed paper, the folders are lightweight and flexible. Two interior pockets provide room for papers, brochures and booklets, and a business card holder lets you personalize the look of the folder. The rich coloring helps you locate them easily and makes for an eye-catching effect when presenting to clients, colleagues and more. 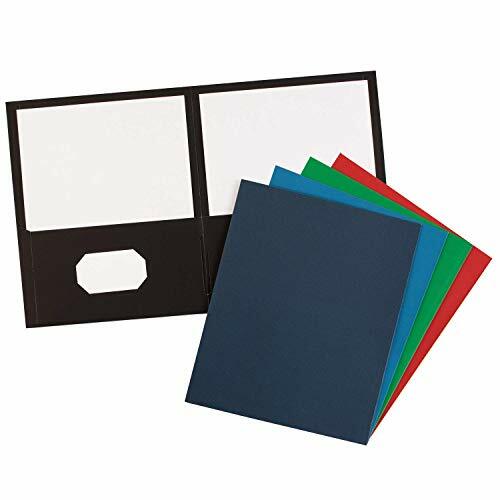 Holds up to 20 sheets of paper. Front Cover Color(s): Red; Back Cover Color(s): Red; Sheet Size: 11 x 8 1/2; Capacity (text): 40 Sheets. Economical way to professionally distribute proposals and sell sheets. Business card holder keeps contact information at hand. 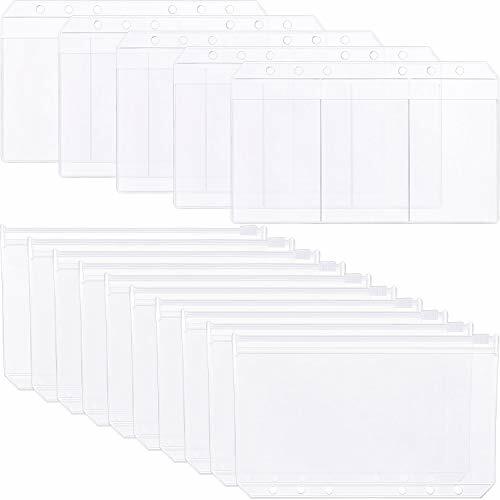 Cut down the clutter by securely storing letter-size documents in 3-ring binders with these single-pocket plastic binder pockets. 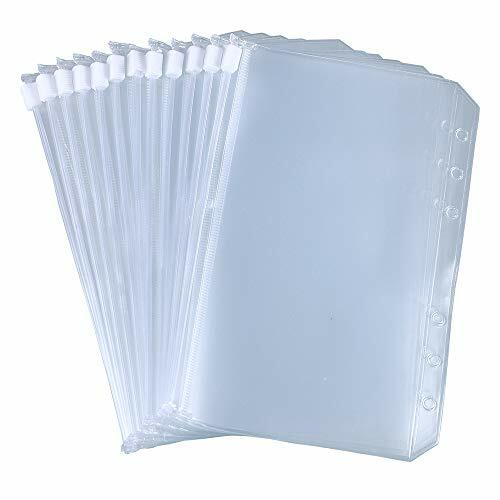 Offered in this pack of 5 clear 3ring binder pockets, you can easily store up to 20 letter-size pages per binder pocket. 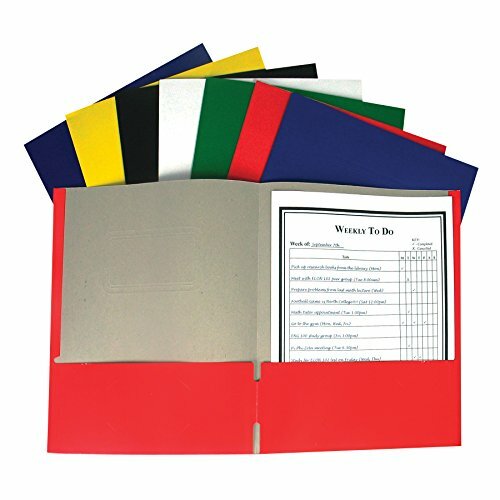 With this entire pocket binder organizer pack, you can store up to 100 documents in a standard three-ring binder without punching or folding your important papers! 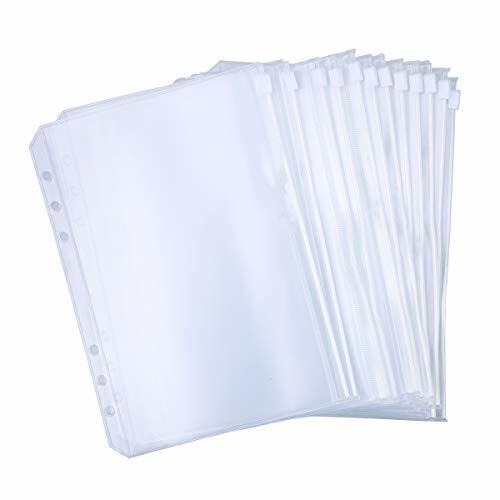 Each pocket binder is made from durable tear-resistant, acid-free and archival safe polypropylene, making them ideal for protecting documents and photos without lifting print off of them. 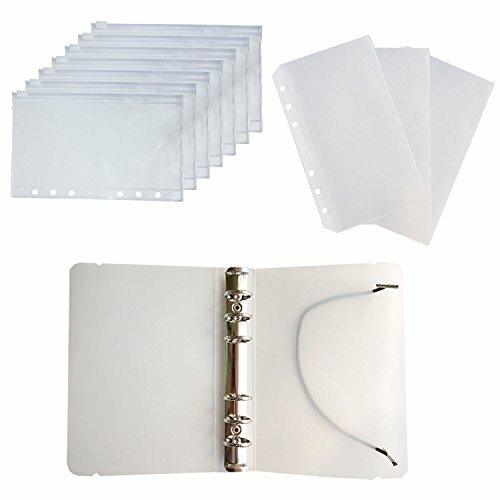 These 3 ring binder pockets are spectacular for organizing loose, un-punched papers, reports, homework, and storing manuals, instructions and handouts for quick reference. 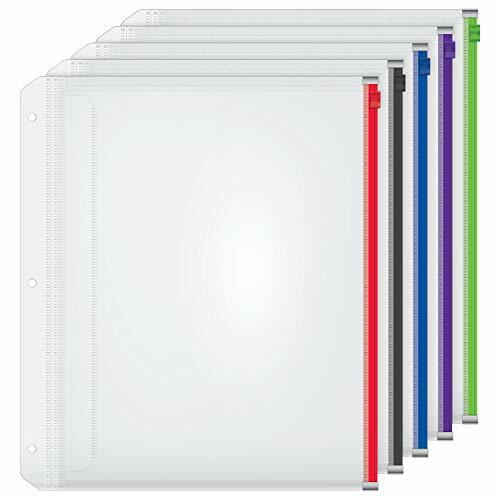 Durable polypropylene binder pockets are PVC-free, resist tearing and are acid-free and archival safe. Won't lift the print off your papers and photos. Keep your important papers in immaculate condition with these mini binder dividers with pockets. 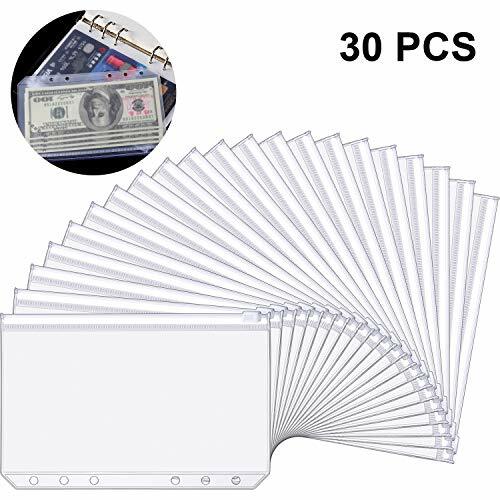 Offered in this pack of 5 total mini binder pockets in assorted colors, you can easily store up to twenty 5.5 x 8.5 hole punched pages, business cards or receipts per mini binder pocket. 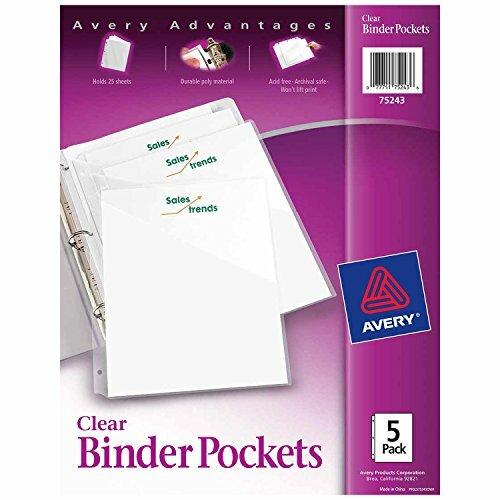 With this entire pocket binder organizer pack, you can store up to 100 documents in a three or seven-ring mini binder! Each petite binder pocket features a durable tear-resistant, acid-free and archival safe construction, making them fantastic for protecting documents and photos without lifting print off of them. 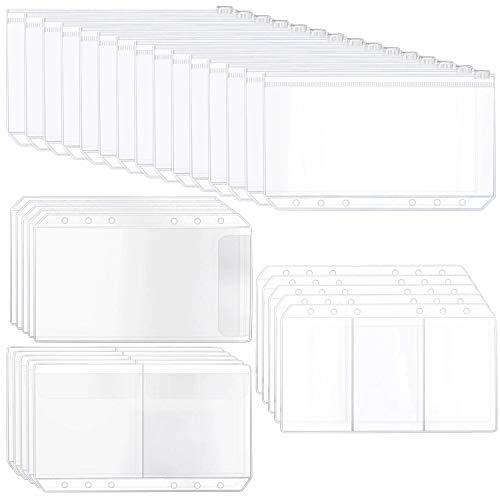 These mini single-pocket slash jackets are perfect for organizing loose sheets, manuals, tickets, coupons and more for quick and easy reference. Durable mini binder pocket folders are PVC-free, resist tearing and are acid-free and archival safe for preserving photos. Won't lift the print off your papers and photos. Warranty: 100% Satisfaction Guaranteed. Avery will gladly replace any Avery product that does not provide complete satisfaction. 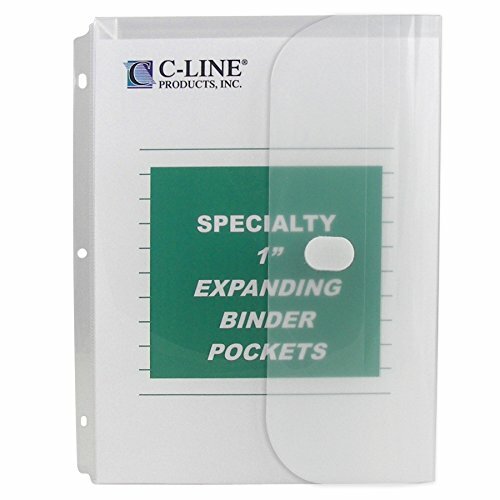 Protecting important documents, these binder pockets are moisture proof, wear resistant, not easy to break. 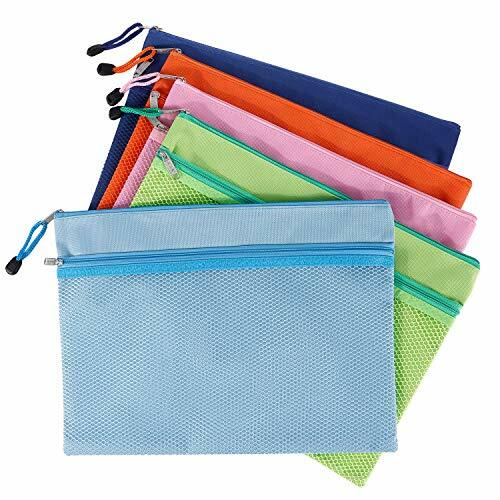 The file zip bag is made of EVA and the 3-card storage bag is made of 18 silk PVC, they are durable and waterproof, you can open and close the pouch easily. The zipper binder pouch suitable for holding stamps, paper clips, bills, invoice, receipts and other items. Name card bag can carry your ID, credit and debit cards more conveniently without having to take your wallet. Make your life become more orderly and organized, if you encounter any problems during use, please contact us, send us an email or leave a message. 7pcs Zipper Binder Pouch Size: 6.7 L x 4.13 W; 6 Hole Round Ring Binder Cover Size : 7.25 L x 5 W x 1 H inches, 1-inch ring diameter, can hold up to 150 sheets of paper. Name Card Pocket: Carry your ID, credi and debit cards more conveniently without having to take your wallet with you. C-Line, a leading manufacturer of office supplies with a product line that features storage, identification and organization products, offers a range of Green office products for your storage and organizational needs. 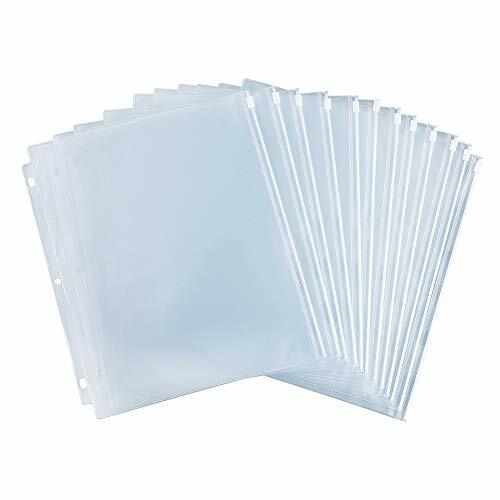 These Biodegradable Binder Pockets are made from acid-free, archival quality polypropylene which contains an additional additive that allows it to biodegrade when tested according to the ASTM D5511. The 1 Inch gusset expands for additional capacity and the Velcro closure ensures your letter size documents are safe and secure while in any standard 3-ring binder. Eagle binder pocket with gusset is well made of acid-free durable polypropylene, water and tear resistant. Measure of 11.5 9.5 inches, suitable for storage of letter size documents, and come in a pack of 12 in assorted colors. It is designed with expandable gusset for larger capacity and can hold up to 200 sheets of standard papers. With 3 holes on the left side, it fits standard 3-ring binders. Great for school, office and home use. The concept of Freude brand is to share happiness and enjoy your life. Mainly engaged in business office stationery and personalized gifts.What you need, what we do,we adhere to the customer experience as the center.Devotes to help consumers work faster,smarter and better at the office, home, or at school. You can always send email to Freude-VIP@outlook.com to get help if you have any question after receiving it. 5 Species Product portfolio:Refillable Leather Notebook,2 in 1 Touch Screen Pen,Binder Index Table,1pcs Zipper Pouch,1pcs Card Pouch.They are cost-effective products,save extra time and money for you. 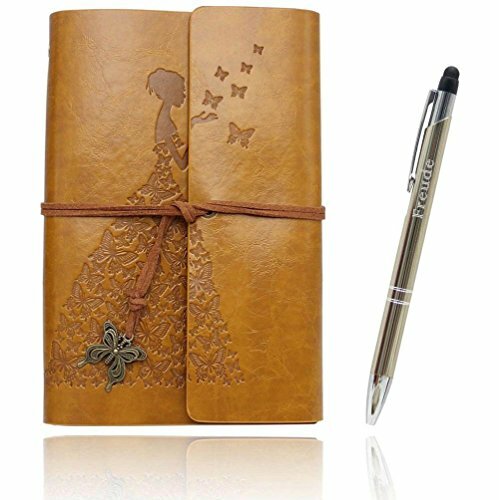 Refillable Leather Journal: Made of high quality PU leather,soft in hands,durable for travel or outdoor adventure.Inserts are craft paper which can keep your writing and drawing the same as beginning to help you reread easily in future.Both cover and insert work to give you a permanent memory. High quality Filler Paper - 80 sheets(160 Pages)Blank kraft Resistant to feathering and bleeding from all but the wettest fountain pen inks.Take paper out or in easily so that you can record any instant memory no mater where and when you are. 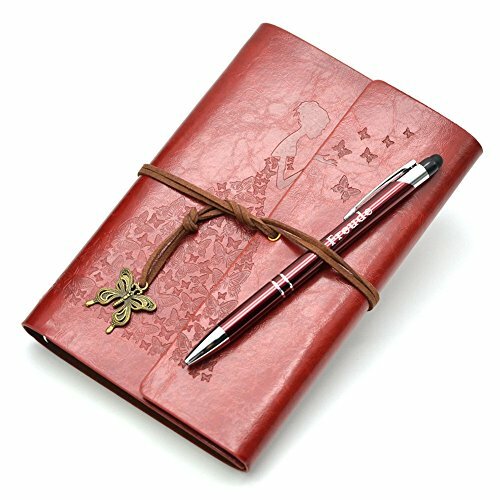 For An Inspired Gift - For family, friends, or even yourself, this leather journal will help words flow freely, ideal for any budding writer, artist, or anyone simply wanting to do some high-quality note taking. perfect gift for yourself,families and friends. Value Pack :Refillable Leather Notebook,2 in 1 Touch Screen Pen,Binder Index Table,1pcs Zipper Pouch,1pcs Card Pouch.They are cost-effective products,save extra time and money for you. High quality Lined Paper - 80 sheets(160 Pages)Lined kraft Resistant to feathering and bleeding from all but the wettest fountain pen inks.Take paper out or in easily so that you can record any instant memory no matter where and when you are. Economical paper ports are perfect for school, home or business. These two-pocket paper folders contain 75% post-consumer recycled material. Portfolios feature two business card slots making them perfect for sales "leave behinds." For 11" x 8-1/2" document storage. Without prongs. Colorful assortment includes Red, Yellow, Green, Blue, Purple, Black, and White. Carton includes 100 folders. 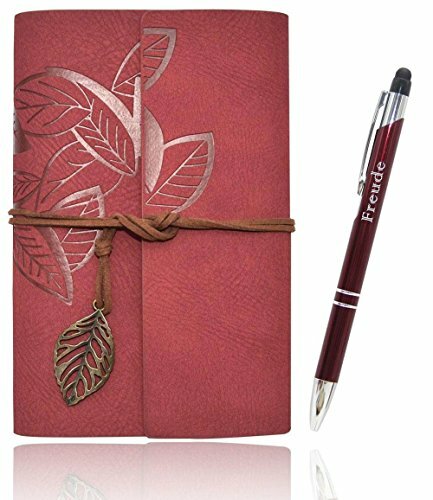 5 Species Product portfolio :Refillable Leather Notebook,2 in 1 Touch Screen Pen,Binder Index Table,1pcs Zipper Pouch,1pcs Card Pouch.They are cost-effective products,save extra time and money for you. 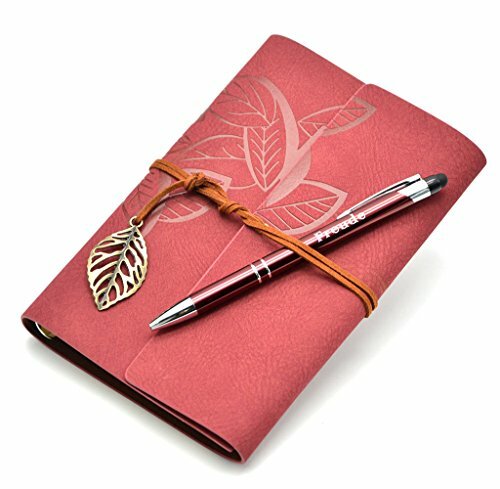 Refillable Leather Journal : Made of high quality PU leather,soft in hands,durable for travel or outdoor adventure.Inserts are craft paper which can keep your writing and drawing the same as beginning to help you reread easily in future.Both cover and insert work to give you a permanent memory. WHY choose our documents pouches? Various colors file bag: Blue/Light Blue/Green/Pink/Orange/White. 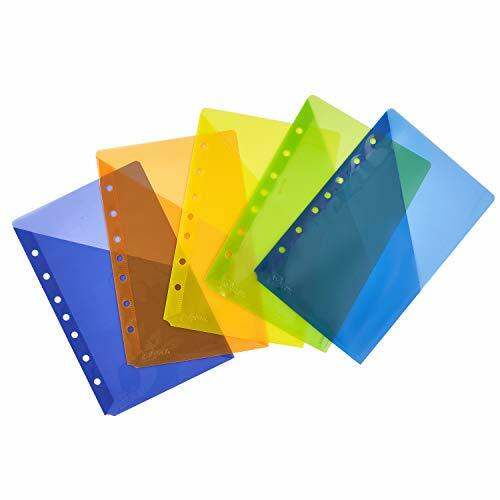 Different vivid colors ensure you distinguish your files and keep all in order. Multi size - The first set of file bags (5 colors) is approx 34 cm/ 13.4 inches in length and 24 cm/ 9.4 inches in width; the other set of white file bags is approx 14.8 cm/ 5.8 inches in length and 10.5cm/ 4.1 inches in width. The large size of the mesh bag has double layer. And you can put the small size of white bag into the large one. The A4 zipper pouch can hold like pens, cables, pill bottles, cosmetics or travel accessories. Besides, the file bag is easy to clean due to its great water and oil resistance. 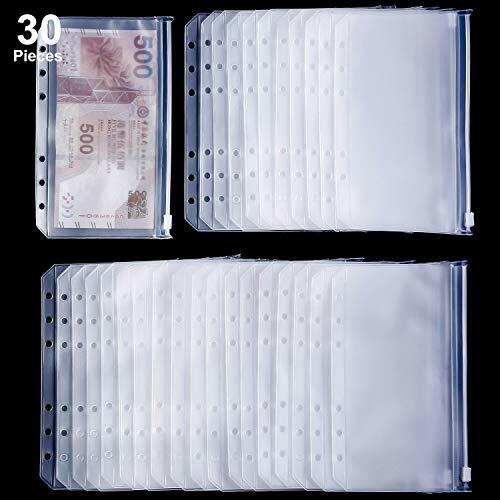 These mesh documents pouches with reinforced zipper, help to hold your goods safely and easy to put them in or take them out, convenient for using. 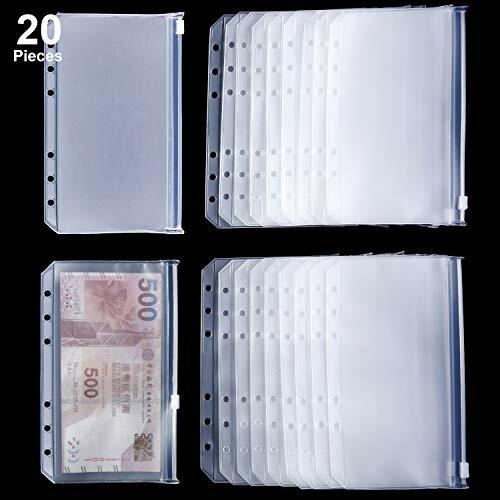 Double layer design ensure a safe and convenient storage for office document, cash, coins, term papers, newspapers, business, receipts, magazines, memo. Great oganizer at home, park, school, train and wherever you need! SUPERB MATERIAL: Durable PVC grid layout, waterproof & oilproof, convenient and not easy to rupture. Its transparent color allows you to find the items you want at a glance. ZIPPER DESIGN: Zipper design prevents the items lost inside. Our mesh documents pouches with reinforced zipper, which helps to hold your goods safely and makes it easy to put them in or take them out, convenient for using. EASY TO CARRY: The long zipper is easy to carry. Besides, you can put zip file folder to you bag to carry for term papers, document, newspapers, business receipts, magazines clip and more! Great organizer at home, park, school, train and wherever you need! DOUBLE LAYER : Double-layer design makes storage and classification more convenient. The A4 large size of pvc zipper pouch can contain more things. Our zipper pouchs are small experts in your life to make your life and work easier. 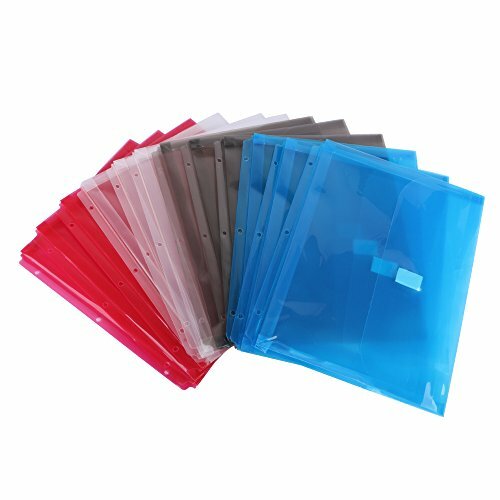 PACKAGE INCLUDED: We offer 5 bigger file pouches (size 13.4*9.4) in 5 different colors for each (Blue, Light Blue, Green, Pink, Orange) and 5 other smaller pcs all in white (size 5.8*4.1). They are spacious to store a variety of documents, information and other learning or office supplies. Cardinal Double-Pocket Poly Dividers are made tough to outperform paper index dividers. These durable separators let you flip through sections without ripping at the rings. Archival-safe, non-stick poly won t damage photos or transfer ink from pages. Tabs leave ample room for writing. Paper inserts included. 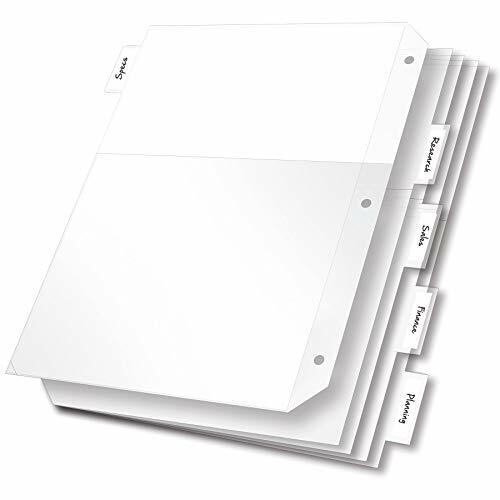 Dividers are 3-hole punched to fit 3-ring binders. Holds 25 sheets per pocket. Letter size. 5 Divider set. Clear. 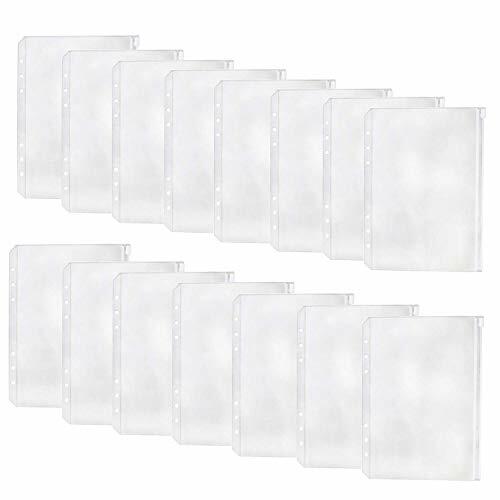 Made of PVC, quality and waterproof material which resist tearing, able to protect your items from water and dust, it is soft to touch, durable to use, you can use them for a long time. 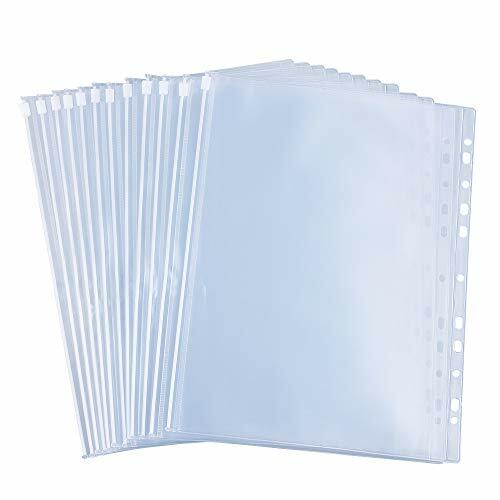 6 Holes punched file bags in translucent designed, provide convenience for you to distinguish items in the bag, you can quickly find what you need, with these holes, you can collect these plastic bags together to make them easier to arrange. You can put your bill, money, stationery, credit cards, ID card, photos, invoices, stamps, receipts or other important items in it, classify your items and keep them in tidy condition, the zipper on the top can help you to store your items better. Made of EVA material, a kind of plastic material, give you soft feeling all the time, zipper design on the top make it easier to open and close the bag, durable for long time usage. The bag is designed with 6 holes, which provide convenience for you to arrange your files or documents, you can thread these bags together to keep them in tidy condition, the material is translucent, you'll quickly find items you need without efforts. With these bags, you can put your bill, money, credit card, ID card, stationery, files, receipts and other things in them, keep your items in organized condition, suitable to be applied for home, office, school, outdoor activities, they can help you to store items better. Please allow slight size errors due to manual measurement.